Development should happen with a place not to it. This was the core philosophy behind the 2016 launch of the Neighborhood Playbook. Since its launch, hundreds of community organizers, designers, developers, and policymakers have purchased the Playbook to solve problems and bring about thoughtful, incremental change to their neighborhoods. A new movement of Economic Uncovery has thus emerged where everyone from neighborhood citizens to institutional developers can identify a problem or opportunity in a place, respond through the low-risk testing of ideas, discover demand for the best ideas and capitalize on small, smart wins to create lasting value for places. Economic Uncovery meets head on the current state of urban environments where opportunities for growth, reinvestment, and adaptive change struggle to reconcile with real concerns around fairness, limited resources, and a future full of accelerating uncertainty. It challenges the simple project mentality of leading with supply (buildings, infrastructure, etc.) and instead focuses first on understanding and unlocking demand (people’s needs, wants, creativity, etc.) to then, in turn, attract and shape supply. Supply takes time, demand discovery can start this weekend. 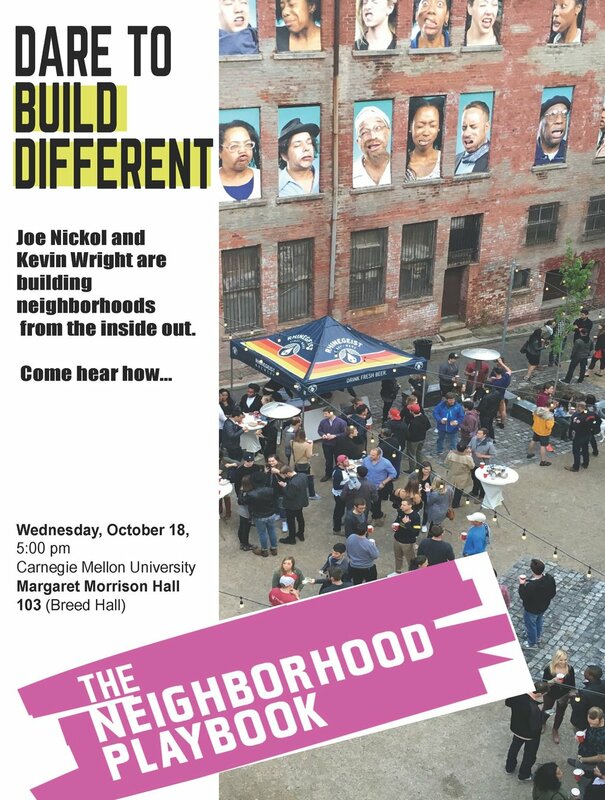 Joe Nickol and Kevin Wright will present the ideas of Economic Uncovery alongside case studies of neighborhoods they have worked in where the methodology behind Economic Uncovery has been utilized. Kevin Wright is a leader in community development, economic and real estate development finance/planning, and creative placemaking. With a background in journalism/storytelling and a graduate degree in Community Planning (with a specialization in urban real estate development) he has been able to use his diverse background to regenerate communities and cities through community engagement and physical transformation. Kevin has been Executive Director of the Walnut Hills Redevelopment Foundation (WHRF) since 2011. Kevin has led teams in the creation and implementation of dozens of projects ranging from small creative placemaking activities to multi-million-dollar real estate deals. Joe Nickol is a leader in urban design, planning and real estate development projects in North America and abroad. His focus is on the regeneration of our towns, cities, and neighborhoods and using the lessons of those places to inform the design of new districts and towns that are inherently highly adaptable and resilient. Joe has directed design and implementation for dozens of projects ranging from small pop up projects to over a million dollars in design fees. He leads teams of economists, ecologists, engineers, artists, architects, and planners. Joe’s work and observations have been highlighted and syndicated in publications such as Planning Magazine, Better! Cities and Towns, Planetizen, Sustainable Cities Collective and the Congress for New Urbanism.